Before you pack your food, give some thought to your camping food storage system. There are a few important things to keep in mind about camping food storage. No one wants to eat stale cookies - even when camping! Protect your food from insects. Ants. Need I say more? Keep your food supplies neat. An organized camp kitchen is an efficient camp kitchen! Taking just the amount you need means that you won't be throwing anything away. I'm sure I'm not the only one who has found pine needles in the large jar of peanut butter when I got home! There's no point schlepping the entire contents of your home kitchen to the campground with you, only to haul it home again at the end of your trip. And you definitely don't want to spend your vacation cleaning up spilled maple syrup from the bottom of the food box! 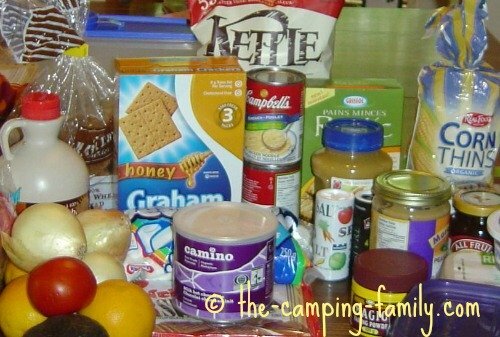 A good camping food storage system will meet all of these needs. I use a plastic storage tub for packing my non-perishables. 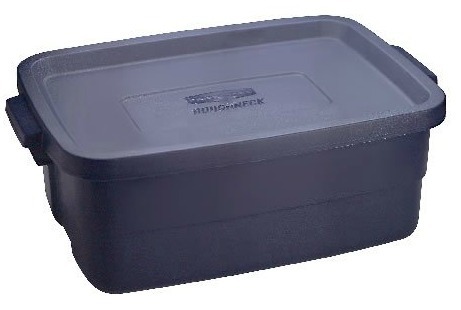 A medium sized tub (about 10 gallons) works well for camping food storage. It holds lots, but won't get too heavy to lift and carry. If you have an RV with a fridge, you're all set! Be sure to start the fridge at least a few hours in advance so that it's cold when you fill it. 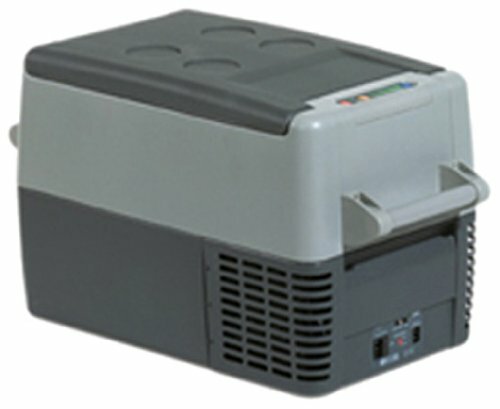 If you are tenting, you might want to consider buying a real portable fridge. We have one, and we love it! We don't have to buy ice or deal with melted ice, and our food is always cold and fresh. If you don't have a fridge, you'll need a cooler with lots of ice. 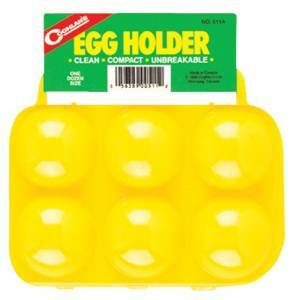 They are the perfect shape for packing in a cooler. When they melt, they don't make puddles in your cooler. When they thaw, you have nice cold juice to drink! 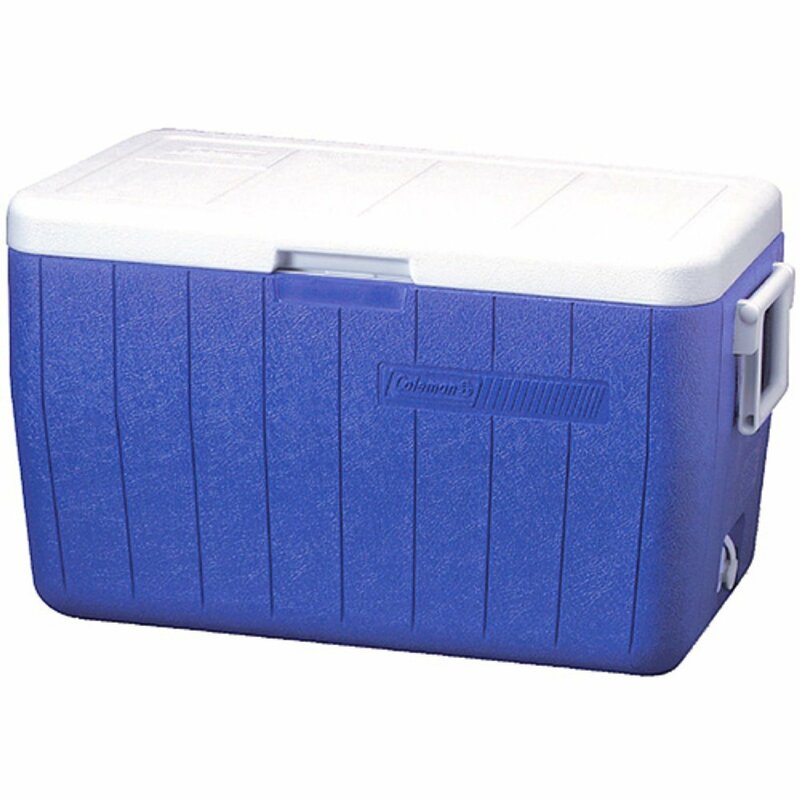 A few frozen juice boxes should keep your cooler cool for a weekend trip. If you are camping for a longer time, you'll need to buy ice once all the juice boxes have thawed. A camping trip isn't complete without a batch of pancakes - and pancakes demand maple syrup. But how to transport the syrup without getting it all over everything else? These are food-grade plastic bottles that seal tightly. They are sturdy and washable. The lids screw on and off easily. The bottle openings are just the right size to allow for tidy pouring. These are not guaranteed to be leak-proof, but I have never had one leak. I've used these for syrup, milk, oil, vinegar, tamari and salad dressing. I've always been intrigued by the empty plastic tubes that are sold in outdoor stores. You are supposed to be able to fill them with your favorite condiment, seal up the end, and squeeze as needed. I almost bought a set because it seems like such a great idea. Fortunately, I read some online reviews before I made my purchase. Most reviews were positive, but the tubes have definite drawbacks. They are hard to clean - especially if you've used them for something sticky. They wear out and crack after a while. Some reviewers actually used them one time only and then threw them out! I think I would always be a bit uneasy, wondering if that tube of honey was really leakproof. Instead, I bought some Nalgene jars. These are perfect for camping food storage! They even come in a variety of colors! I've used the medium size jars for peanut butter, jam, honey, and butter. They would be perfect for hummus and other lunch spreads too. I use those for oatmeal, stews, and cookies. I also use them for homemade baby wipes and laundry soap - carefully labelled, of course! I used to be tempted to buy travel-sized bottles of condiments - but they are expensive! I like to buy in bulk wherever possible, but I don't want to carry the large economy-sized tub with me! 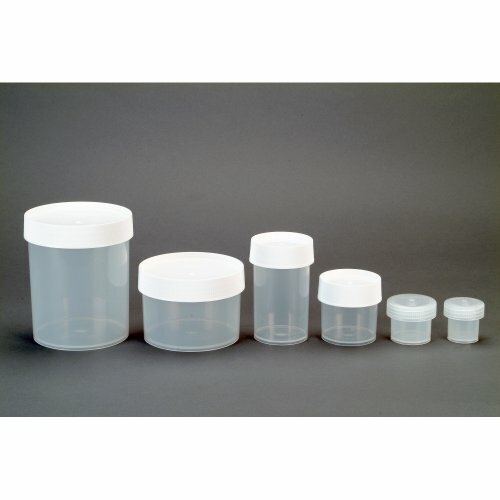 Buying the large size and then transferring a smaller amount to a plastic container is the answer. You won't waste a drop or a morsel, either! 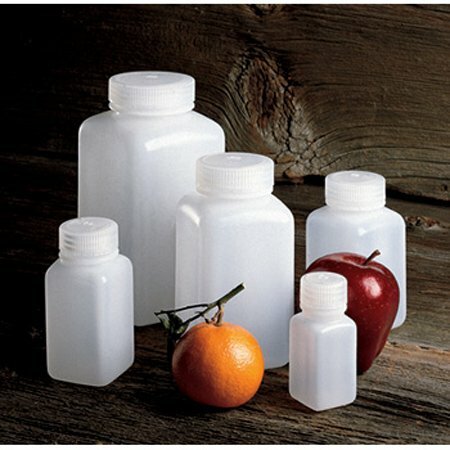 These bottles and jars are all made of food-grade polypropylene, a safe, non-leaching plastic. They are easy to wash, and are virtually unbreakable. I've had mine for several years now, and they haven't even gotten scratched or discolored. Non-perishable foods in these camping food storage containers can stay in the camping tub all summer! Just grab the tub and your food packing is half done! I know some campers who take powdered eggs when they go camping because they are afraid of breaking real eggs - but who wants to eat powdered eggs? You could take eggs in a regular egg carton and try to remember to be careful with them. But all it takes is one person leaning heavily on the contents of the cooler while searching for a beverage - and tomorrow morning's French toast is history. Why not invest in an inexpensive unbreakable container? It will pay for itself if saves just one batch of eggs! 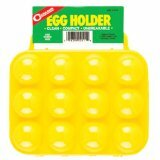 Don't need a full dozen eggs? 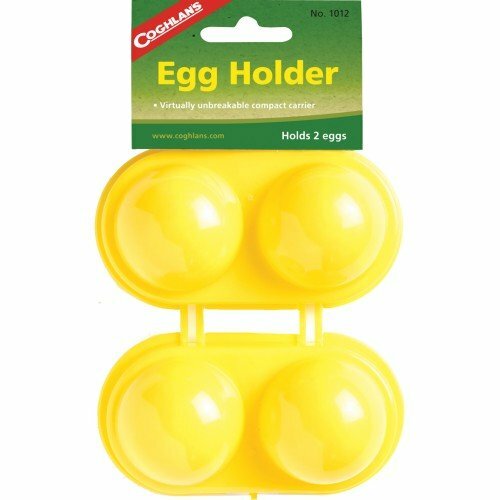 You can get an egg carrier for just half a dozen - or even for just 2 eggs! Investing in a few well-chosen camping food storage supplies will make your life easier - and save you money in the long run! Now that you know about my camping food storage system, why not check out my camping food ideas? If you're a new camper - or even if you're not! 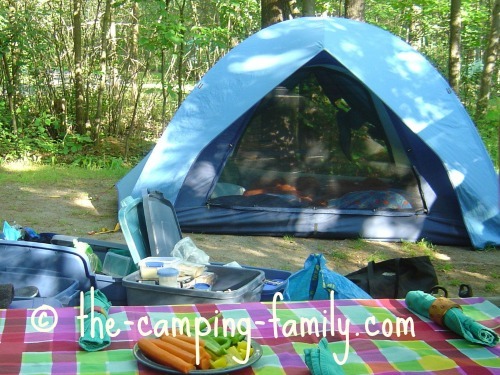 - be sure to visit The Camping Family home page. I'll teach you everything I know about planning a camping trip.